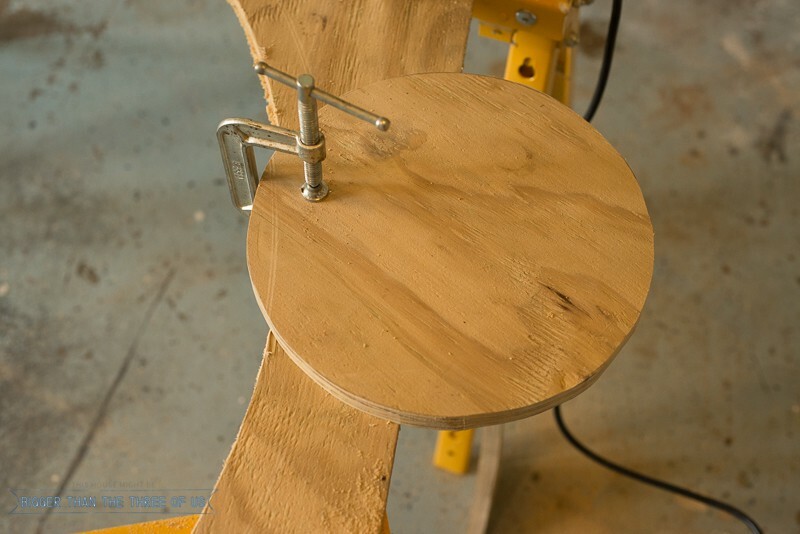 Today’s project has the same idea but is made using scrap wood. 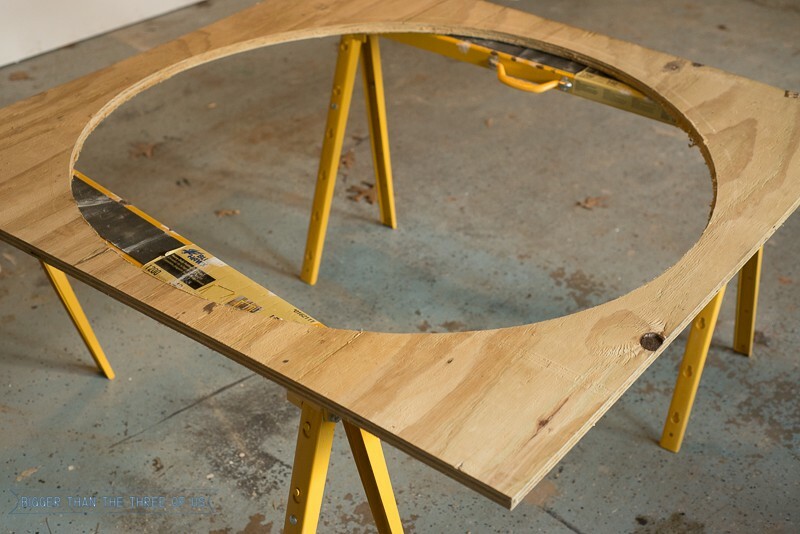 We tend to have scrap plywood around and I was curious to see if I could solve a problem and use some of it. 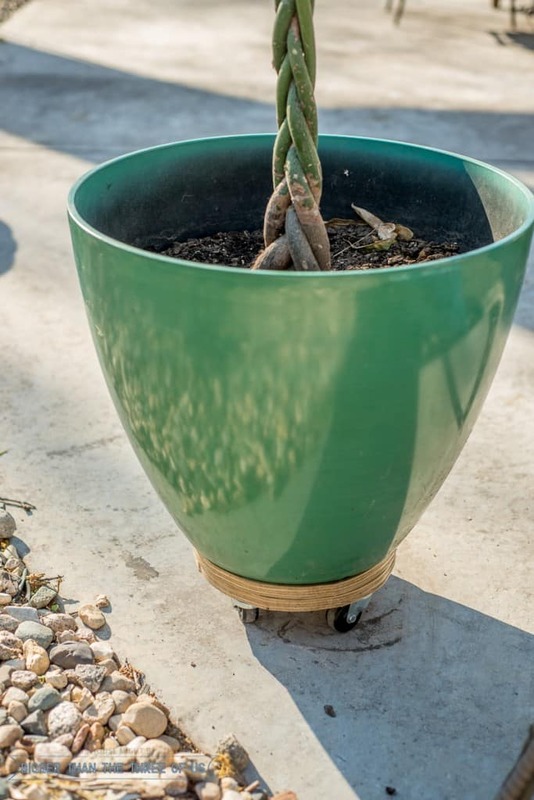 The outcome isn’t quite as cute as the DIY stump roller, but it’s functional and definitely more heavy-duty than the plant stand rollers that you find at the hardware stores. Before we get into the tutorial, how sad is our money tree? I could never find a good home for it over the winter and it just lost more and more leaves. I’m hoping it will perk up over the summer. I laid my plywood scrap piece over sawhorses. I wanted the largest base pieces I could have, so I searched the house for circles for my template. 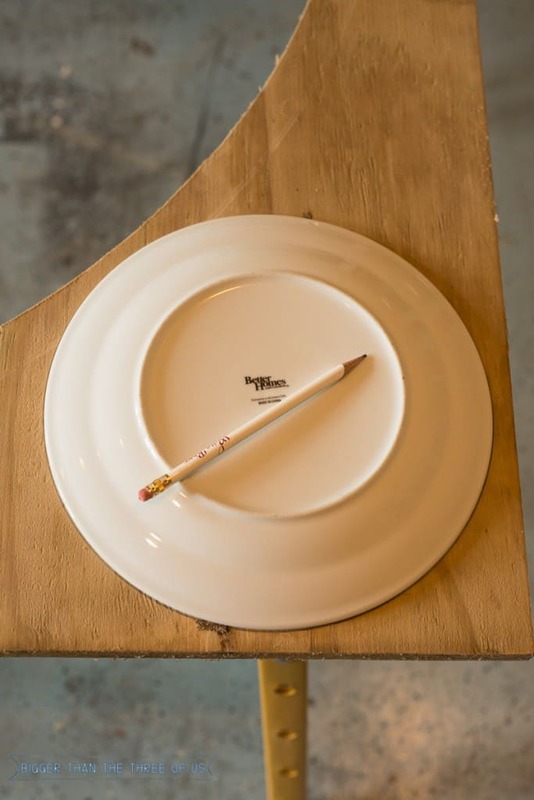 I ended up using a dinner plate and drawing a circle around the plate onto the wood. 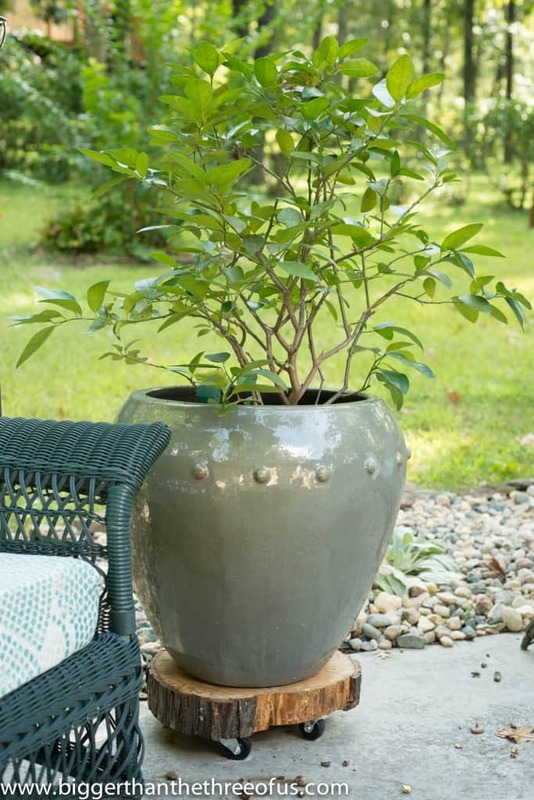 I did this twice so that I would have two circles because I knew my planter pot weighed quite a bit. 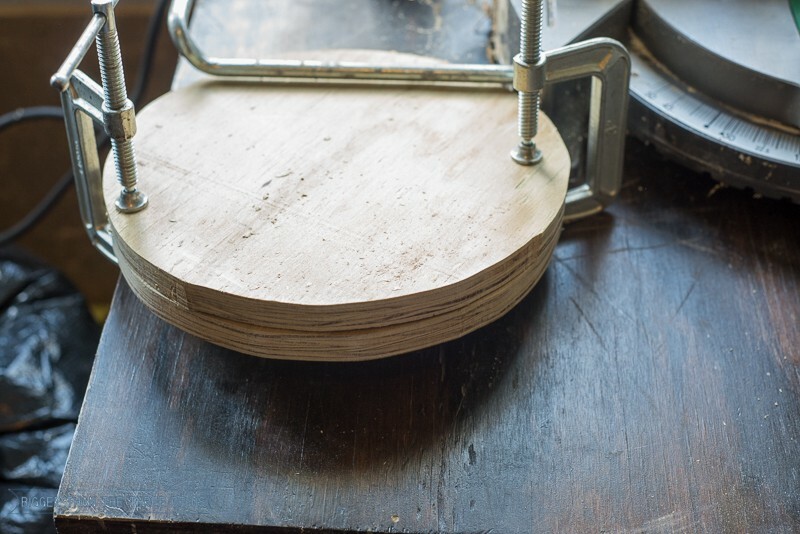 I decided that I was going to stack my circles on top of each other to, hopefully, let it hold more weight securely. 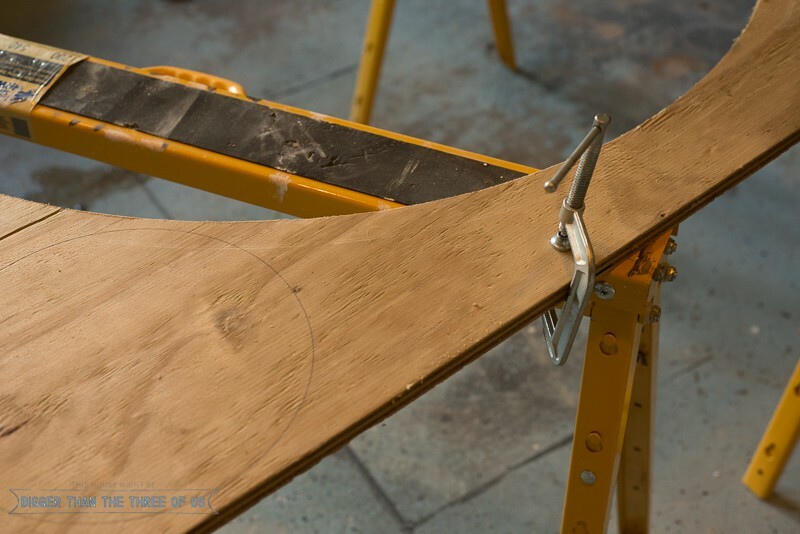 After making sure you have clamped your scrap wood to your sawhorses securely, start cutting on your circle markings using the jigsaw. 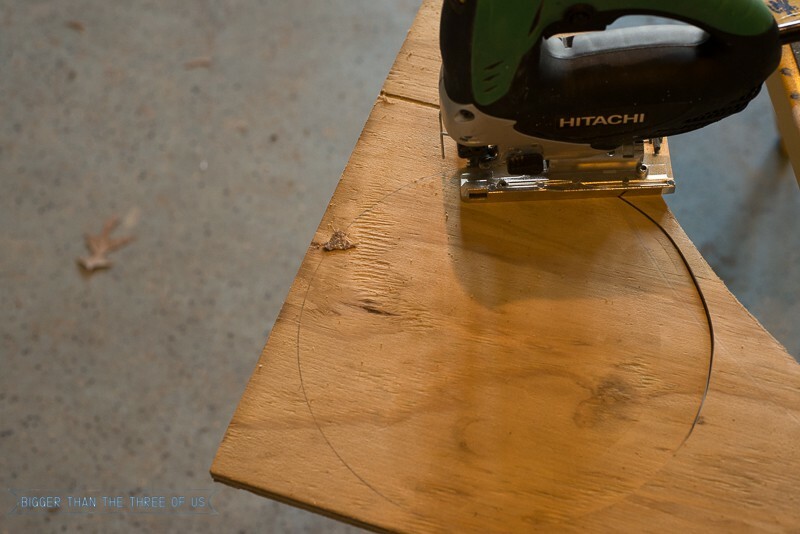 If you have a smaller scrap wood piece (like me), you may have to stop partway through and reposition your scrap piece so that you can continue your circle cuts. 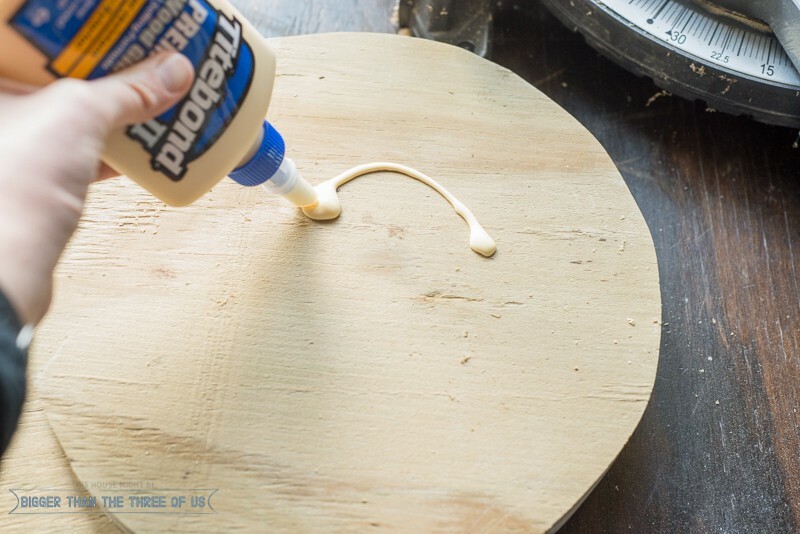 Spread wood glue on top of one circle and place the other circle on top. Clamp together and let is sit a few hours to dry. 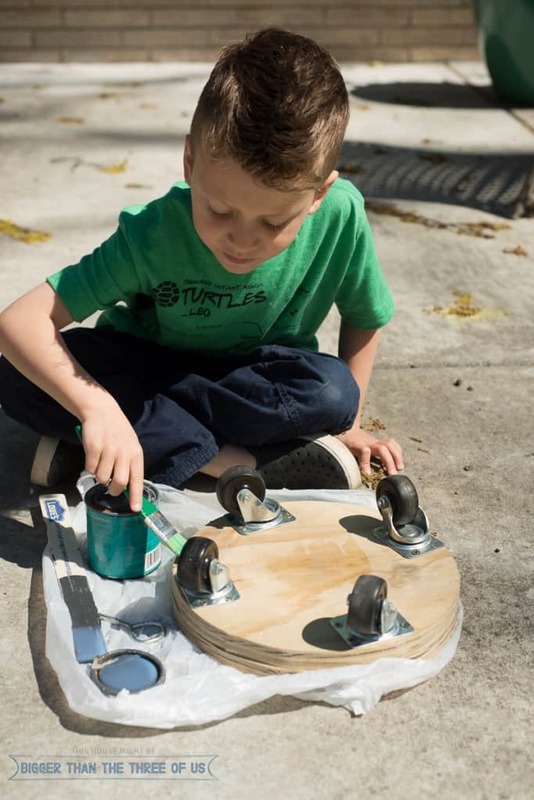 Using a drill, attach four wheels to the bottom. 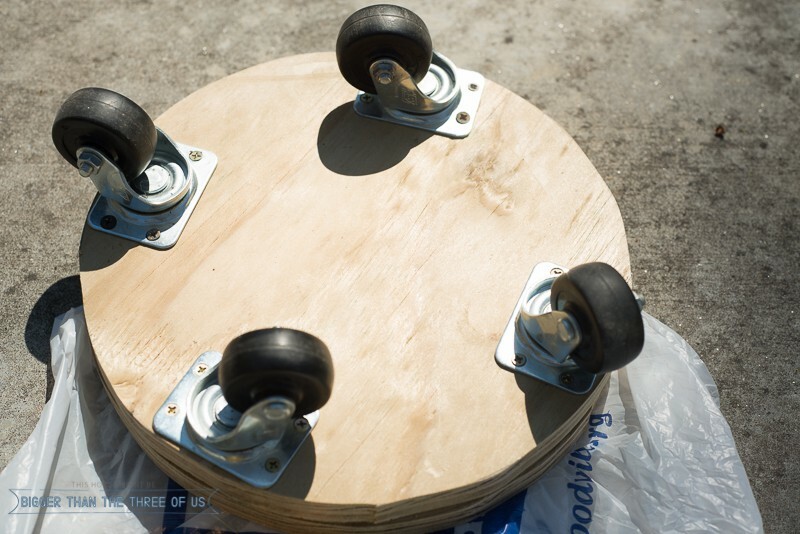 Spread the wheels out so that they are to the edge of the stand (this will ensure the most stability). I decided to leave mine naturally colored. You could apply a stain if you wanted yours to be a specific color. Then apply a poly over the top. This part isn’t hard and is a great project for kiddos (with adequate ventilation). Make sure to get all sides. Let dry. Lightly sand and re-coat. 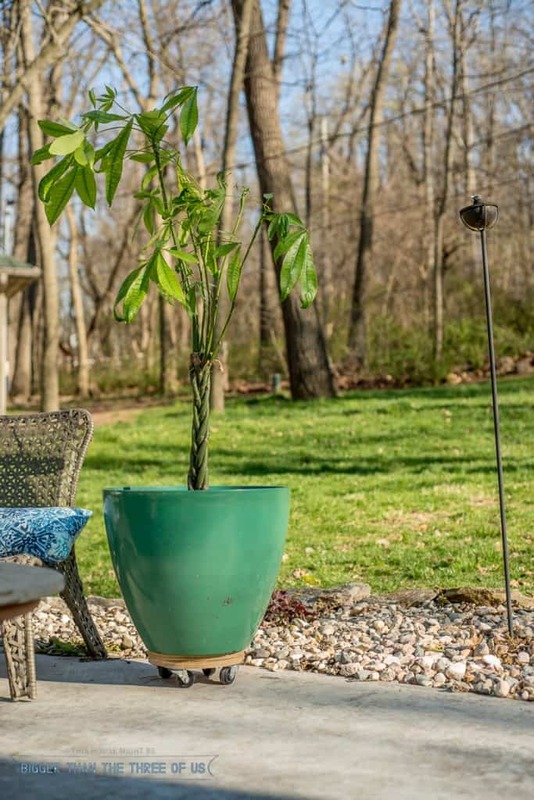 This project served a need for us and ended up costing around $5. Use what you have on hand, feel free to paint the stand if you’d rather have paint. You could even spray-paint it. Be creative. For about $6 and under an hour, I’d say this is a winner. Plus, it’s something Greyson could help with and was a perfect teachable moment. I try to grab those when I can. *If you have a larger scrap piece, feel free to make yours a bit larger. 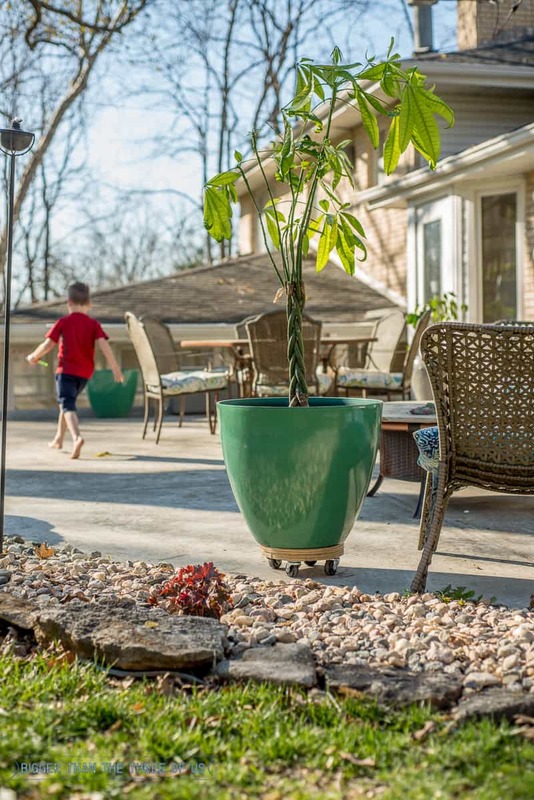 I think it could probably even look cuter if it overhung the planter a bit more than mine does, but work with what you have. Have fun!